The venues listed here are in current or recent use by the choir. The seating capacity of the Assembly Hall Theatre (Crescent Road, Tunbridge Wells, TN1 2LU) varies according to the number of front row stalls seats that need to be removed to create space for an orchestra. In a typical RTWCS performance using a large orchestra the front stalls are entirely removed, so the capacity is 730 seats. (310 in the circle, 420 in the tiered stalls). The United Reformed Church (1 Mount Ephraim, Tunbridge Wells, TN4 8AE) occupies a triangular site at the junction of the main A26 London Road with Grosvenor Road. The main entrance leads into a concourse area, that serves both the Church and Church House. The choir has used the United Reformed Church for recent summer concerts. Around 150 seats are available. St John’s Church (Amherst Road, Tunbridge Wells, TN4 9LG ) is located on the main A26 (St John’s Road). The church hall which adjoins the church has extensive facilities that make it an ideal rehearsal venue. Access is through the car park in Amherst Road. 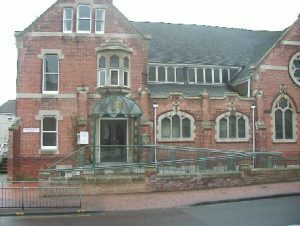 Although the choir’s major concerts are usually held in the Assembly Hall Theatre, St John’s Church has sometimes been used where a large audience is not expected (maximum seating capacity around 500 and where a large orchestra is not required. The church has a side gallery which has occasionally been used in performance, for example when the choir performed Britten’s St Nicolas. 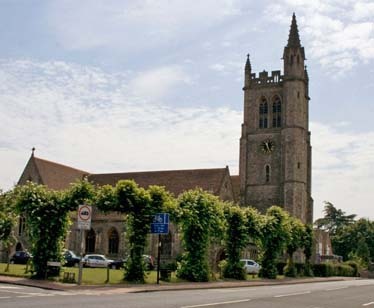 St Mary’s, the parish church of Goudhurst, is the choir’s favoured location for its annual Christmas concert. Its acoustic is particularly favourable for choral singing, and its friendly village atmosphere makes it a favourite for both choir and audiences. 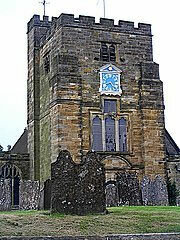 The church is located in a prominent position at the top of a hill in the centre of Goudhurst (postcode TN17 1AN). The church has recently been remodelled to include toilet and other facilities. Trinity Theatre is a converted church (Church Road, Tunbridge Wells, TN1 1JP). Trinity is a vibrant theatre in one of the most beautiful buildings in the region which was originally designed by Decimus Burton. It hosts around 350 events a year, ranging from the best in theatre and dance through to the biggest names in comedy and music. It has a relatively small and intimate 350 seat auditorium. Seating is comfortable and there are good refreshment facilities. It is was first used by the choir for the informal summer concert in 2016. The theatre has online ticketing facilities. St Peter’s Church (Bayhall Road, Tunbridge Wells, TN2 4UX) is sometimes used for rehearsals on occasions when St John’s Church Hall is not available.